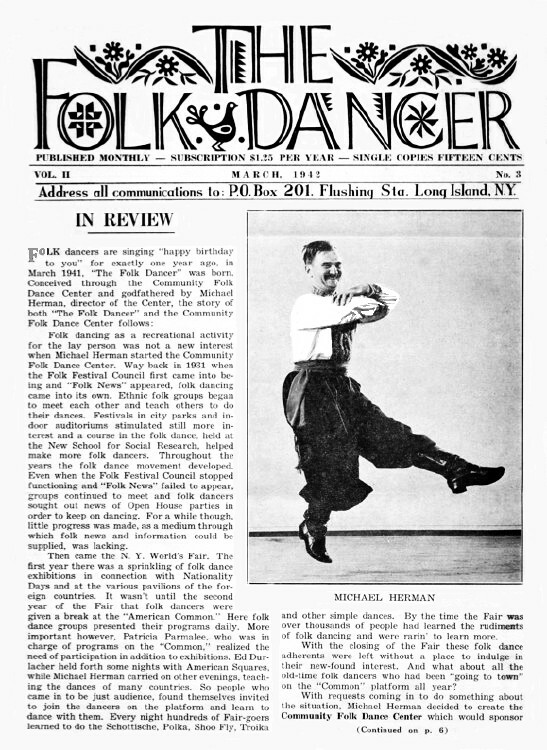 The Folk Dancer by Michael Herman, a monthly publication. The Folk Dancer. New York. October 1943, p.4, Žikino Kolo. The Folk Dancer. New York. October 1943, p.5, Drei Lederne Strömpf. The Folk Dancer. New York. July-August 1946, p.9-12, Tantoli.